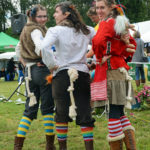 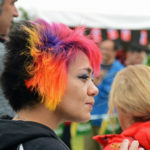 The Scandinavian Cultural Centre in Burnaby, British Columbia, hosts the Annual Scandinavian Midsummer Festival In June each year. 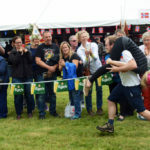 A highlight each year is “The Wife Carrying Contest.” This is sponsored by Carlsberg and the prize is the “wife’s” weight in Carlsberg beer. 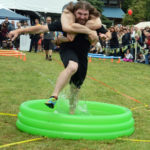 The definition of “wife” and “husband” were very liberal as you will see in the photos and in simple terms, the “wife” is the person who was carried by the winning runner. 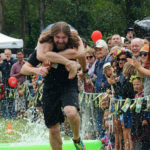 The 21st Annual Scandinavian Midsummer Festival on June 18-19, 2016 and the Wife Carrying Contest was held on the Sunday. 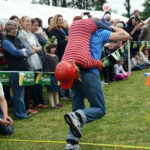 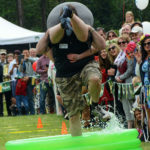 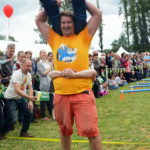 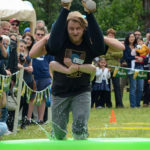 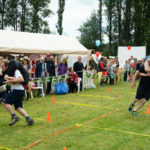 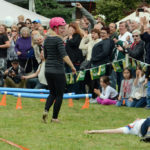 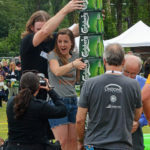 Scandinavian Midsummer Festival 2016-06-19 033 Wife carrying contest – My Viking ancestors could do this, so can I.
Scandinavian Midsummer Festival 2016-06-19 030 Wife carrying contest – I cannot see! 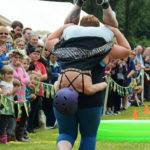 Scandinavian Midsummer Festival 2016-06-19 106 Wife Carrying Contest – Raw power! 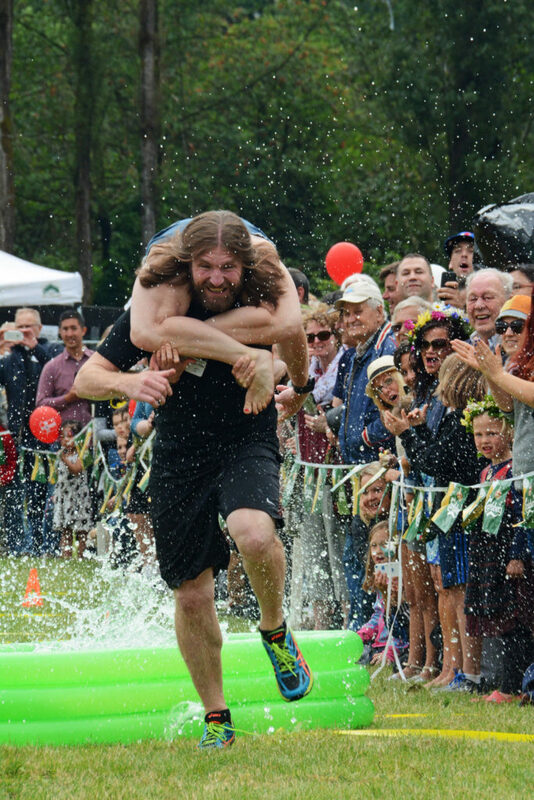 Scandinavian Midsummer Festival 2016-06-19 128 Wife Carrying Contest – What Second Place looks like. 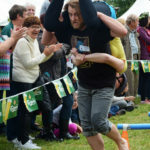 Scandinavian Midsummer Festival 2016-06-19 129 Wife Carrying Contest – A wife who is worth her weight in beer.